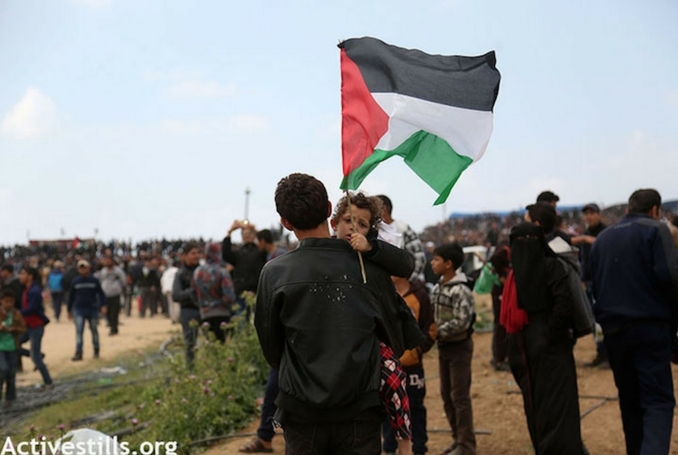 In a remarkably fresh approach in resistance to Israel’s seven decades of colonialism, Palestinians have geared up to mobilize en masse in what has been dubbed as Great March of Return. Starting Friday 30th March 2018, thousands upon thousands head towards homes and lands from which they were forcibly expelled. Victims of evictions and ethnic cleansing whose losses have never been admitted by Israel despite being acknowledged by the United Nations, have every right under International Law to reclaim the theft of their land. Though month of March each year since 1976 has been commemorated as Land Day, this year sees it expanded in a very creative way. The Great March of Return is thus an affirmation of this inalienable right guaranteed by a substantial number of international conventions. To the dismay of Israel, the Great March of Return is not planned to be a short lived one-day event. And to add to Israel’s PR nightmare, media coverage will in all likelihood revisit core issues at the heart of this March via extensive analysis and historic footage. Expressing its displeasure at mainstream media and throwing tantrums alongside wailing and howling – as Israel is accustomed to doing, will not assist the regime’s Hasbara (propaganda) campaigns. In fact it will be entirely counterproductive as the old Nats in apartheid’s heydays in South Africa learnt. Concealing the ugly reality of Zionism’s imposition of a foreign entity (Israel) and the consequences of the Nakba (catastrophe) which to date are eminently visible throughout the Occupied Palestinian Territories OPT, Palestine ’48 and refugee camps dotted across Lebanon, Syria, Jordan and elsewhere is not only not possible, but morally repugnant. 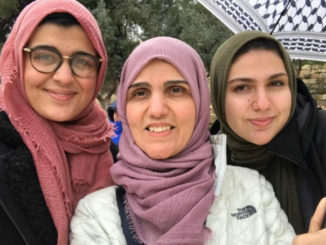 Equally it would be outrageous and utterly disgraceful for any media platform to ignore or downplay the enormous burden faced by Palestinians to free themselves from oppression and reclaim justice. The Great March of Return is thus a challenge to media to dislodge themselves from false Israeli narratives fed to them by highly resourced Hasbara campaigns. The Great March of Return is a challenge to those in the media who’ve been cowed by intimidating threats of economic sabotage and fear being unfairly smeared as “antisemitic”, to get off their fences and jump into the fray. 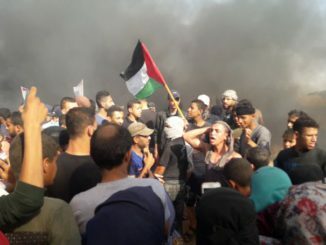 Robust introspection and fearless courageous reports on the reasons why Palestinians have embarked on this momentous peaceful defiance campaign should be par for the course for journalists who value integrity. In keeping with its irrational conduct, Israel has imposed a “closure” on the Palestinian areas for the so called “Passover holidays”. In addition the settler colonial regime has enforced a “no go” zone on land adjacent to Gaza’s border. Chief of staff of the military’s occupation forces has admitted that “more than 100 sharpshooters” primarily from elite special forces, have been deployed with permission to “open fire”. As the March unfolds, reports come through about injuries and deaths caused by the Occupation forces’ deadly weapons. As B’Tselem and other humanitarian organisations have warned, Israel’s war mongering displays blatant disregard for the sanctity of Palestinian life. Nor for any of its obligations under International Law. The Great March of Return has the support of all the Palestinian factions – Hamas, Fatah, the PFLP and Islamic Jihad. Expected to continue until 15 May to coincide with the 70th anniversary of the Nakba, it’s demands will hopefully resonate across all corners of the world: Right of Return to their pre-1948 homes! – Iqbal Jassat is an Executive Member of the South Africa-based Media Review Network. He contributed this article to PalestineChronicle.com. Visiti: www.mediareviewnet.com. I am a retired Physical Education Teacher. I always had a rule in my classroom that no pupil was to suffer in silence. Keep being United and courageously fighting for your humanitarian rights. Israel are deliberate barbaric brutal mass murdering bullies. 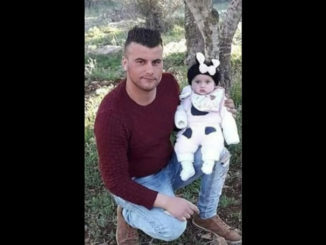 Well done for Jerry Adams speaking out in Ireland >>> condemning Israel’s shooting, wounding and killing unarmed passive Palestinian protestors …. those political leaders that turn a blind eye to this brutality …. shame on you … you have no consciences and no hearts. The UN Council should be standing United to put a stop to Israel’s barbaric mutilation and foul treatment … actions speak better than words!!!!! FROM THE RIVER TO THE SEA PALESTINIANS SHALL BE FREE.